Always the serious student's choice of a Trusts Law textbook, this new edition once again provides a clear examination of the rules in the detail required by the advanced undergraduate. This fifth edition retains its hallmark combination of a contextualized approach and a commercial focus. The authors' commentary has been increased throughout this new edition whilst the fresh design clearly highlights the cases and materials extracts. 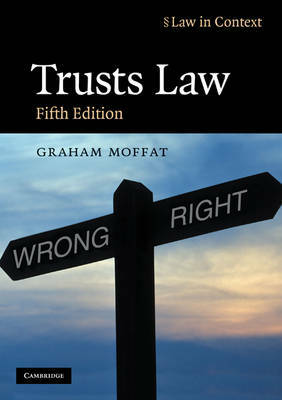 Recent statutory developments, such as the Charities Act 2006, and the impact of a wealth of new cases are explored, the examination of the law of trusts and taxation is restructured and comparative examples help students understand the new directions being taken in the areas of trust law and equitable remedies. Trusts Law brings a modern perspective to a subject often perceived as traditional, with suggestions for further reading guiding the student to contemporary debates.